Sometimes I sign up for Kickstarter Tarot campaigns and forget all about them until a little package plops onto the doormat many months later. 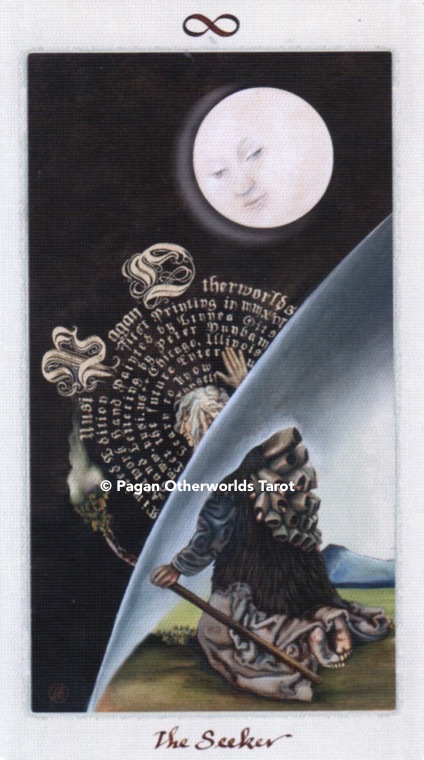 No such casual forgetfulness with the Pagan Otherworlds Tarot by Uusi in the US. TABI backed this particular deck and I thought that it was worth a personal punt too, so my deck arrived and gosh – is it love at first sight or what?! The tuck box is beautiful, using the same pattern that is found on the rear of the cards. Whereas the box has subtle glinting gold highlights, the card back is glint-free. 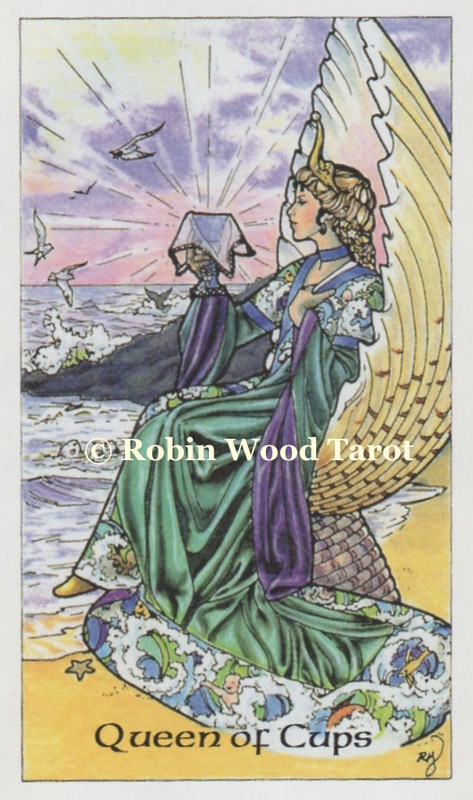 That’s probably a cost thing and anyway, who really looks at the back of cards when the front is so pretty? 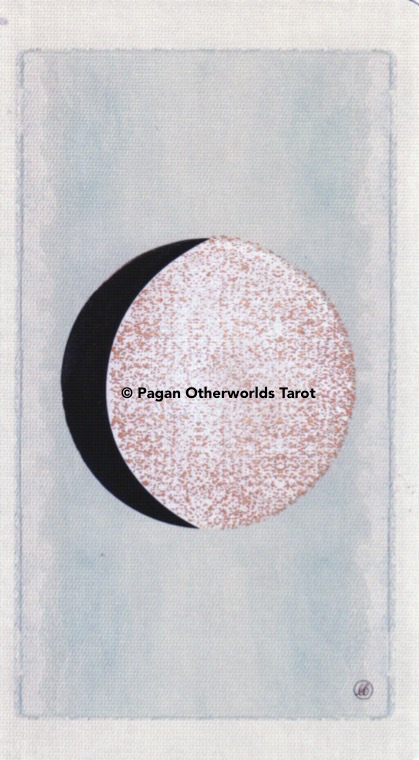 This is not a 78-card deck, we have ADDITIONAL cards, namely a Seeker card and five phases of the moon. 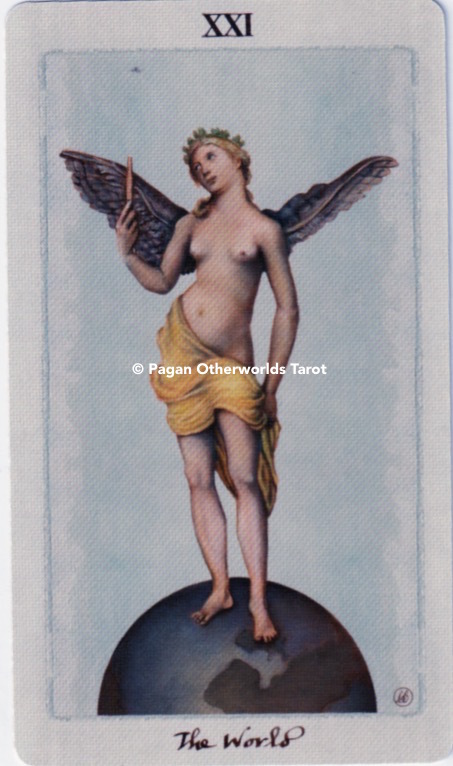 Since the deck doesn’t come with a LWB, one can put whatever emphasis you like on the use of these cards! 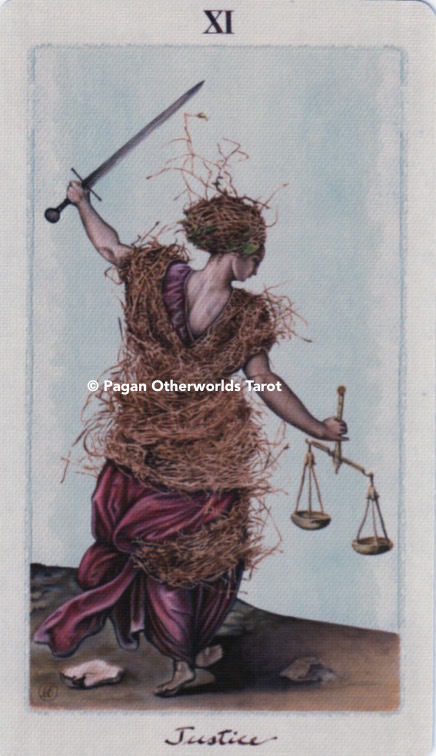 The Seeker card makes a natural significator card – sparing you the dilemma of whether to filch a court card out and thereby taking it out of circulation for the reading. 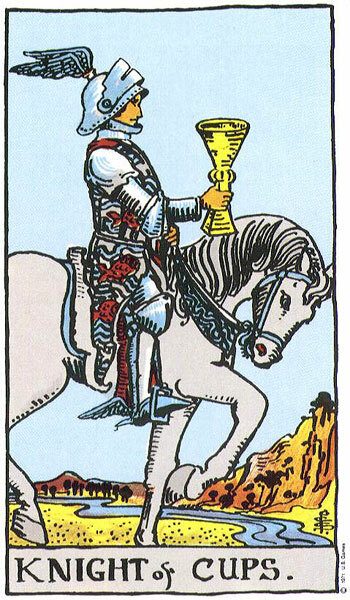 Suits are Wands, Cups, Swords and Pentacles and the courts are Page, Knight, Queen and King – as you can see in the video below. 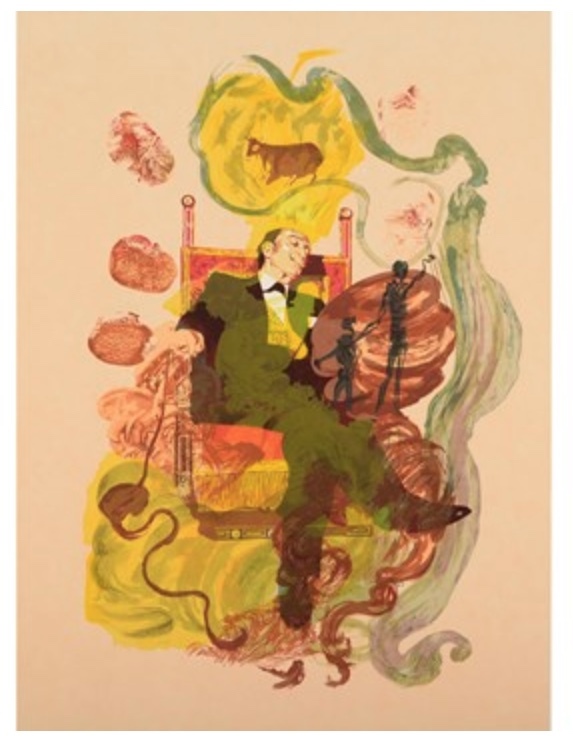 There is no particular colour associated with any suit and the overall palette is warm in tone and muted in shade, with all the characters presented against a barely-there blue sky. There are animals associated with some of the suits – lions for Wands for example. I do query why the King of Pentacles wears a ram head-dress when he’s associated with Taurus, whilst the Queen wears her Capricorn horns a-ok …. 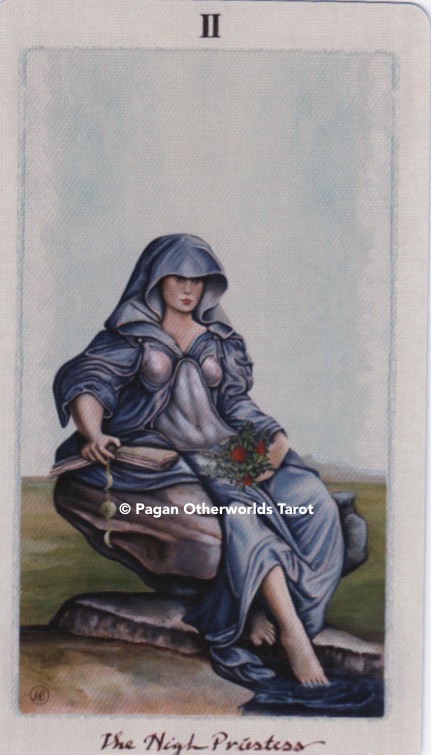 and doesn’t the Knight of Pentacles look like a painting of Napoleon?! 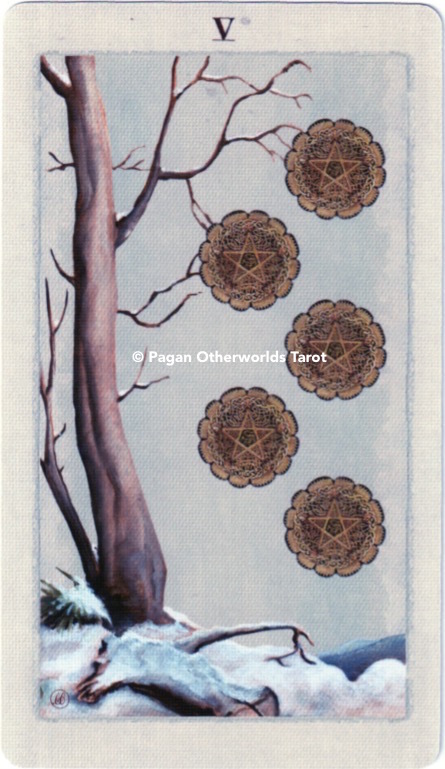 It is a really lovely set of Minor Arcana cards. There are no human figures in any of the Minors, but that is not to suggest that this is a set of ‘Marseille’ unillustrated pips! Here we have elements of the Rider Waite Smith crafted into the card along with the requisite number of suit symbols. It’s a kind of hybrid and I think that it works beautifully. My scanner is not managing to capture the creamy off-white tones of the card stock, I’m afraid. As far as the Majors go, everything is titled as you would expect and has Justice at XI and Strength at VIII. The card stock is beautifully slippy with a linen finish and it’s a joy to use. Is it perfect? Almost! The only thing that I have a quibble with are the one or two of the heads and faces. 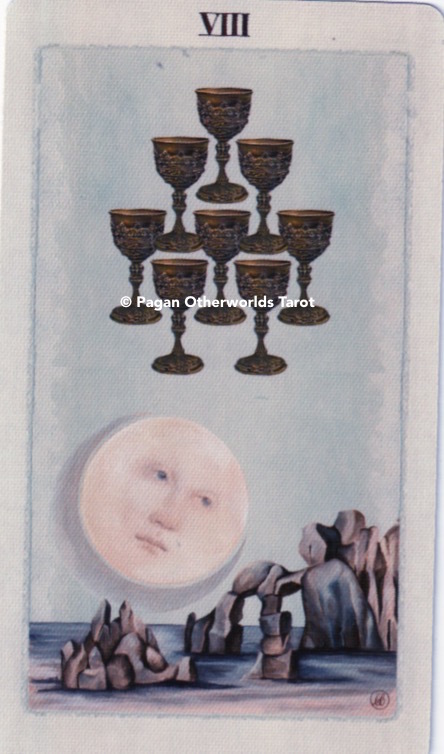 I find there is an occasional awkwardness about one or two of them – for example, the Page of Cups (see video). 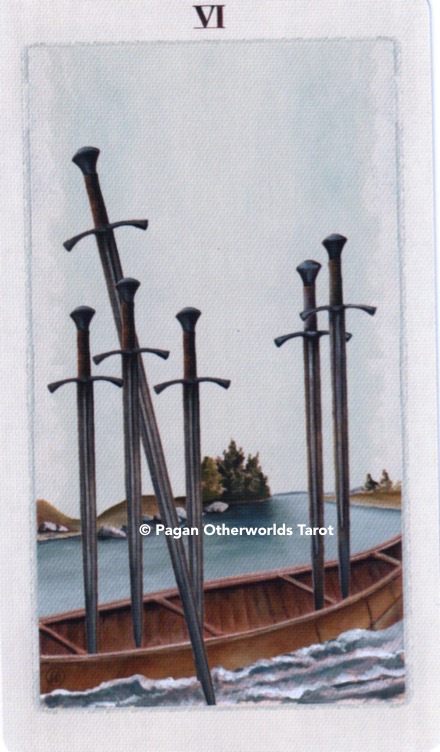 I’ve been using them the past week for my daily draws on the Tarot Thrones facebook page. You’re not ‘liking’ me there yet?! Come on over and see what’s there! 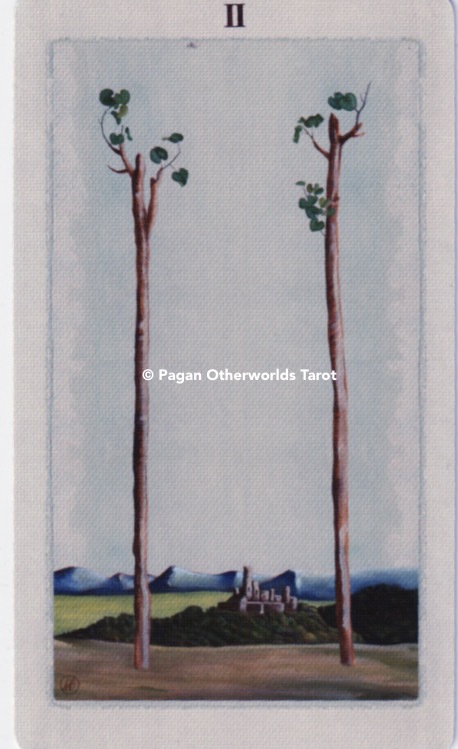 That said, it does not detract from my enjoyment of the Pagan Otherworlds Tarot one jot. I adore the classical otherworldly illustrations. 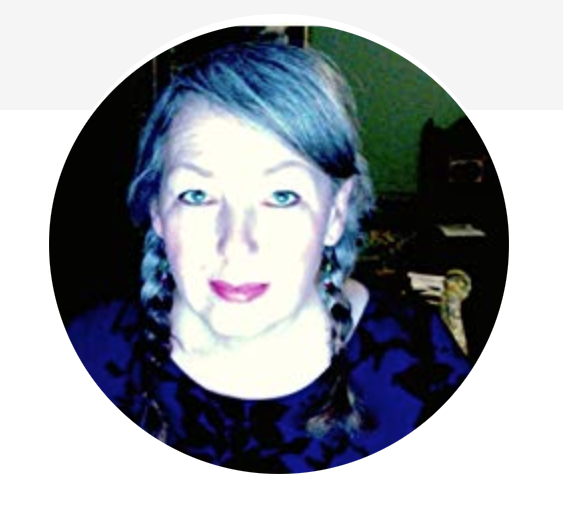 Are they medieval-inspired? Renaissance inspired? It doesn’t matter, get yourself a copy and get ready to join the fan club. I have this bookmarked for purchase. Coming at the holidays, this price for a deck with no companion book is a bit much. But the deck is lovely, as is the addition of the extra cards!